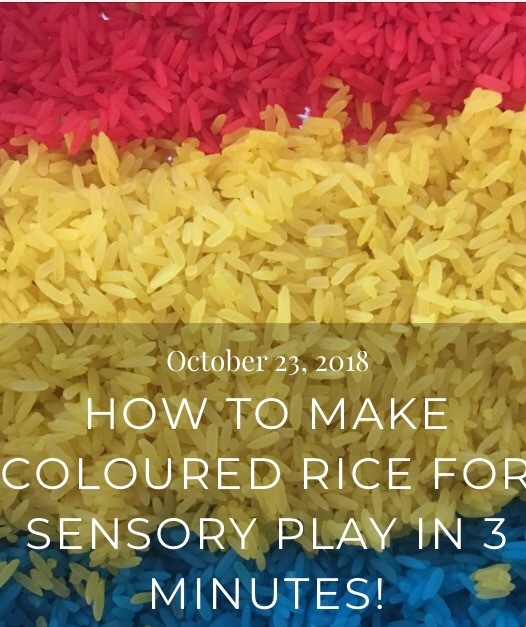 How to Make Coloured Rice for Sensory Play in 3 Minutes! 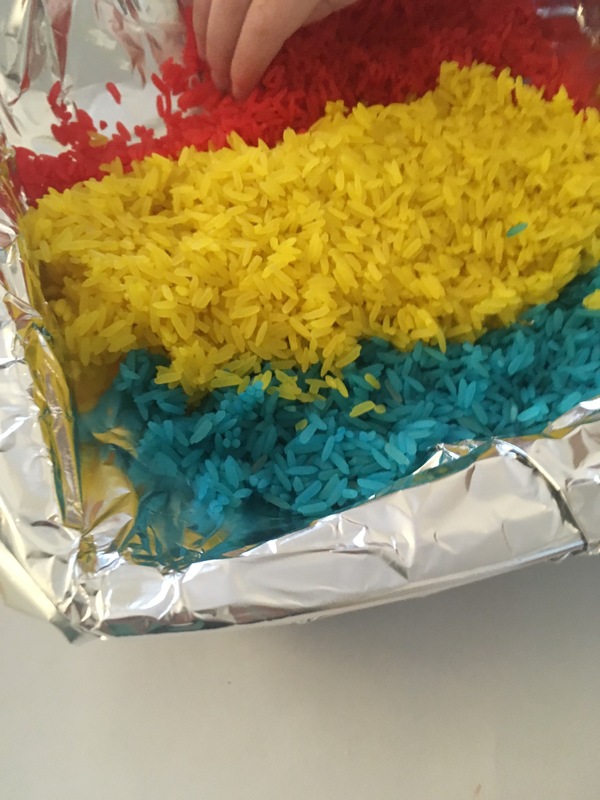 I’ve seen coloured rice pop up on Instagram and Pinterest and if I’m honest I thought…”How on earth do people have the time to make that? !” But I was COMPLETELY mistaken in thinking it was hard work. 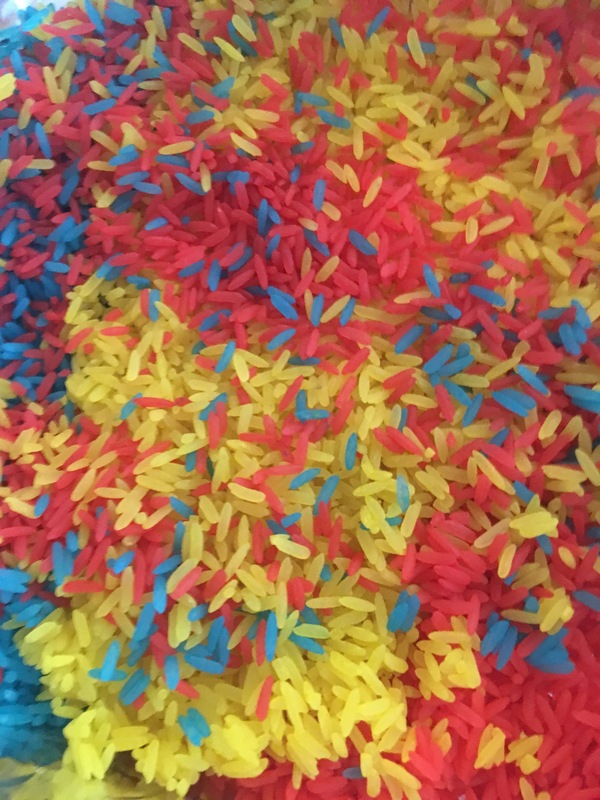 It has to be the easiest thing to make! And unbelievably quick! I made six bags, with two kids in under 10 mins. Before I explain how, please please please be aware that this is NOT edible! It’s just for playing with. 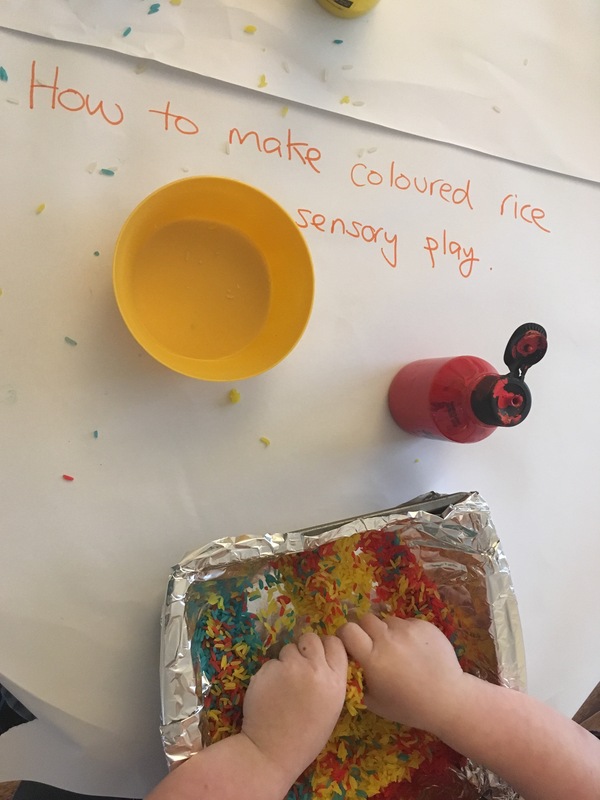 Supervise kids when they are playing with this and definitely don’t let children who are likely to put things in their mouths play with it please. And I take no responsibility for it being eaten. Also it won’t last forever and if it gets damp or dirty- throw it out. It’s unbelievably simple isn’t it? Also it dries really quick- a small bowl dries in a few minutes and doesn’t rub off on hands. 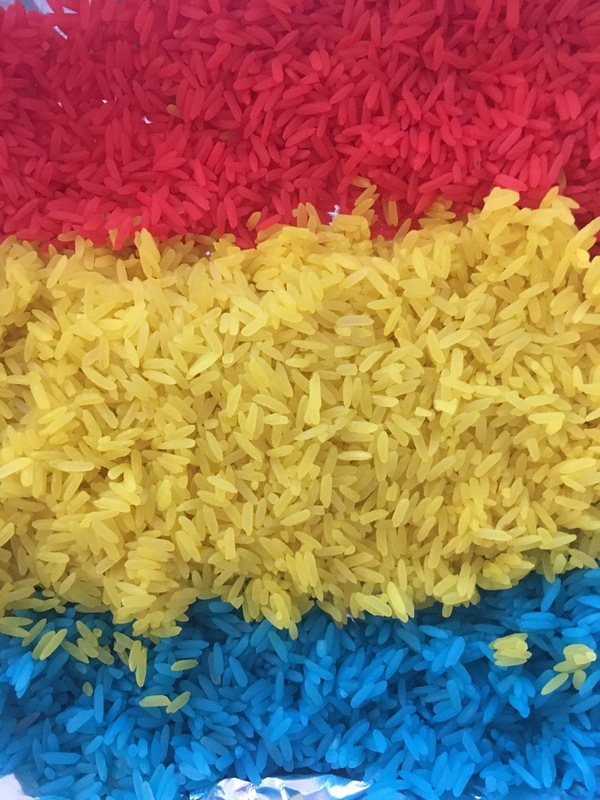 Wow it does look amazing! Must have a go. Thank you! Please do- it’s really easy. The kids are still playing with it!